Are you making plans to train your sales team? Is the training going to grow sales? 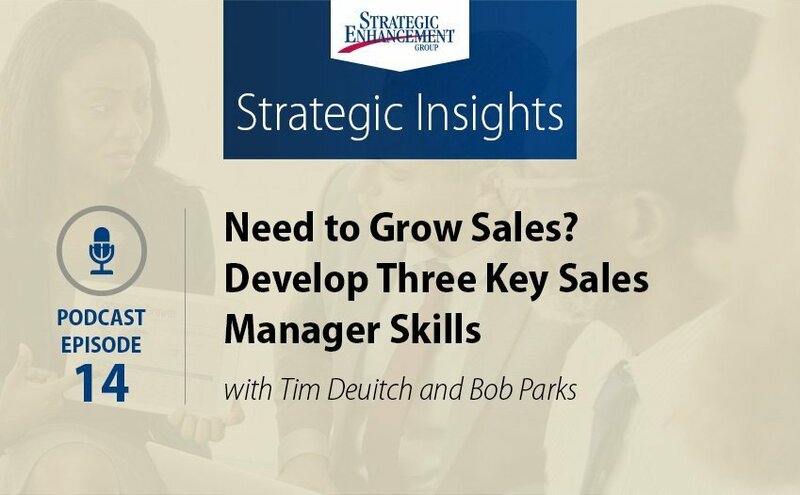 Tim Deuitch and Bob Parks share three key sales manager skills to building a professional sales force: Coaching, Reinforcing and Reducing Barriers. Tim Deuitch: 00:01 Well hello, and welcome to the Strategic Insights Podcast brought to you by Strategic Enhancement Group. 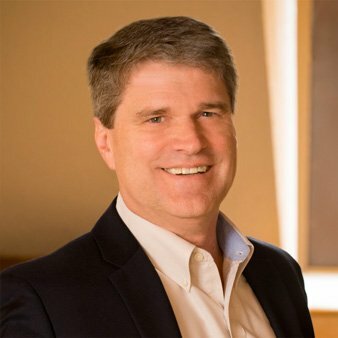 I'm Tim Deuitch, Senior Performance Consultant, and today I'm joined by our Senior Partner, Bob Parks. Welcome, Bob. Bob Parks: 00:14 Thanks for having me. Tim Deuitch: 00:16 Glad you're here. At Strategic Enhancement Group we've been helping sales managers and their teams for several decades, and we've seen a lot of new approaches to developing the staff and their teams, but today we want to focus on three fundamentals of day to day sales management. These fundamentals received nodding acceptance from sales managers as important, but their consistently undervalued when it's time to actually plan to do them well to fit them into day to day execution. So, why now? Our intent with the podcast today is that we know "now" is a period when many sales managers are planning for next year. The intent of our time today is to offer some timely food for thought on three particular fundamentals for sales managers to consider, and here's the three of them. Coaching their teams, the importance of coaching, the importance of reinforcing the skills that the team has been trained and expected to use, and the importance of reducing barriers to the team performance and productivity. For each area, we'll talk about the merits of prioritizing the area, the opportunities lost or gained depending on the depth of focus a manager gives, and then we'll offer tips for each of them on how you fit them into the day to day. Now the value to the sales manager we intend is that you'll appreciate the timely reminder, and you'll also value the ideas we share for implementing each of them. So, let's get started and we'll start with coaching. Just to frame this correctly, we're talking about planning to personally coach your team, the frontline. You can ensure that a coaching resource is available, but we want to make sure they're actively and regularly tapped in a timely way, in a person to person fashion. Now important, we're defining coaching as what happens on that day to day basis just prior, during, or after moments with customers. I'll give you an analogy, just a real brief analogy and that is, imagine the sporting world where coaching takes place in the midst of games regularly. We know there are timeouts in games, and there's coaching that occurs in the middle, and all along from the sidelines. Imagine not doing that. Imagine the last time you coached a team, it's the day before they go to the game, and then you don't coach them until the day after a game. What we're talking about right now, is how do you make yourself present in the midst of the sales experience? So, Bob, you've worked with sales managers for over 30 years. Why is it, that after all these years, day to day coaching continues to be something that's so difficult for sales managers to prioritize? Bob Parks: 03:25 I think you said it, Tim. The answer is priorities. Sales leaders, and managers of managers, and first line managers all have too many important things to do. Most don't really appreciate or understand the impact that coaching has on results, and secondly, it's hard work. In order to be effective at either making sure your sales managers are coaching, if you're a manager of a manager, or coaching yourself as a first line manager after you make it a real priority, then you have to do all the right things. You have to set clear expectations. You have to make sure that managers are trained to coach. It's interesting, most managers will say they know how to coach, but few really do. Then you have to give the managers the time, this is back to priorities. I mean, making sure that a first line manager has the time to invest in coaching their salespeople, and then do they have the tools to coach? You have to measure the results like with anything else, and there has to be consequences, both positive and negative. With those things in place, then you get a good coaching culture. Tim Deuitch: 04:49 That's great, and we'll speak to a few tips on developing that culture in a second. Let's look at the merits of coaching first. These are things we all know, but it's worth, if we're going to prioritize, it helps to lock in. One is, sales teams want coaching, even some salespeople that have been around forever. They like it when they receive a timely piece of assistance, an insight that they weren't aware of, they want that coaching moment. Many salespeople frankly are left on their own, totally on their own, to go out and get into the game, and come back and report the results. The other merit to coaching is that it is actually, literally, real help. Especially when done timely, and that real help improves the morale and improves the results, of course. Bob, would you add anything to the merits? Bob Parks: 05:45 I'd say that the biggest merit of coaching is really developing a professional sales force. It's amazing to me how in so many other disciplines, people work really hard to become truly professional. They just assume that somebody who is selling knows how to sell. I heard years and years ago, this whole concept of unconscious incompetence. It came to me from a professional athlete, and basically what they're saying is that people go out there and they do their job, but they're bad and they don't know they're bad, and they're unconscious about their incompetence. The only way they're going to figure out that they need help is, somebody has got to coach them, somebody has got to help them. So, they're seeing customers, but they're pitching the product too soon. They're talking just about product features, they're not asking enough questions, they're wasting these extremely valuable moments with the customer. They need, like any professional athlete, they need to be coached, and we'll say more about the whole competency issue later, but think about that. If you're a sales manager or if you're a manager of sales managers, don't you want your people to be professional? Tim Deuitch: 07:22 So these are the opportunities lost, right? Just to make sure I've got you right, if you're unconsciously incompetent, you may be positioning a solution or a product way too early in the conversation. You haven't had enough discovery, but you position the product, and they look at you and they say, "Well, no thanks." The unconscious incompetent is when the salesperson comes back and says, "Well, it's the product, we must not have a very good product." When in reality, they probably didn't even get anywhere near the level of discovery that they need. Is that what you're saying? Bob Parks: 08:00 They say it's the product, but even more frequently they come back to their boss and say it's the price, "We really need to cut the price", and that's just flat out, not true. Tim Deuitch: 08:15 Let's talk some tips to better coaching. Nobody is going to suggest that we're wrong in what we're saying, so a few tips. One is, absolutely to prioritize, to create coaching moments. You want to ask your team for the situations that they need help with. So, you know it's coming, where you can partner with them to address their challenge is where the coaching really comes to play. Certainly, if you're in any kind of position to ride along, to join in a customer moment, that's great. Not all sales managers are anywhere near that position, but you can join them on conference calls. You can speak with them just prior to give them a few tidbits so that they go in with greater confidence. Another form of coaching is to create or recruit mentors who do all of those moments before, to elevate them as experts in particular areas, and to connect them with salespeople well in advance of the moment when that help would be needed. Bob, any other tips on coaching that you'd offer? Bob Parks: 09:25 I think one of the most important things for first line sales managers to understand is that coaching is something they do all the time. That's a critical understanding. It's not something you do at sales meetings, it's something you do all the time, and every sales manager talks with his or her direct reports probably several times a day or certainly multiple times in a week. Remember, each of those conversations is a coaching opportunity, and you should be using them, and you should be coaching deliberately. What I mean by that is, if somebody says they have an important appointment tomorrow morning, you should ask as a coach, "Well, what are you going to say, how are you going to open that sale?" And make them practice, because there aren't any professionals I know that don't practice, and if they can't do it or they don't do it well, then you demonstrate on the phone how they should do it and you make them practice. That's how you get professional, you practice and you practice correctly. So remember, if you're a direct sales manager you need to be coaching all the time. Every communication, email, etc. is a coaching opportunity. Tim Deuitch: 10:50 Well said. Let's shift to our second focus area, which is reinforcement. By this, we mean the planning to reinforce the skills you've trained them to use or the sales process that they use. The skills you believe are essential for your team's success, not just broad sales disciplines, but the actual skills that help you sell your products, and bring your solutions and services. It's important, let me strike that difference between reinforcement and coaching. It's easy to lump day to day coaching into this category, but for this session we want you to break out skills reinforcement and the resources through which you reinforced separately. Here are a few examples of what we mean by reinforcement. Team meetings that include revisits to the skills you've trained. So when you structure it into sales meetings, what works, what doesn't work, what they should be focused on. 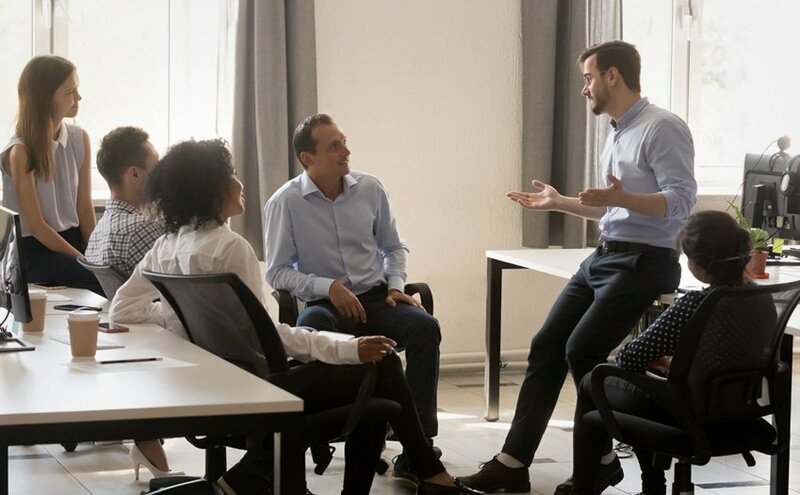 The practice of skills that takes place at the team meetings or in one on one sessions, versus the opposite, of where they go practice on customers. You want to be practicing amongst yourselves before they take it out into the market. A third one is linking the use of skills to sales landed. There's almost no better reinforcement than this one. To have an understanding that the skills we used had a role in landing a sales success. Then a fourth point is the provision of easy to access resources, planning tools. Planning tools allow you to reinforce that the skills you want them to use are essential. So, a question for you Bob, we'll get into the keys and the imperative for reinforcement in a moment, let's start with this scenario. The sales team has been trained to a particular set of skills, but there's no reinforcement of the skills, once training is complete. So typically, what happens in this scenario to a team and it's productivity if the skills they've been trained on aren't reinforced? Bob Parks: 13:11 Well, basically as an organization you've wasted a lot of money, first of all. We know, research is really clear, that about 85 percent of the learning will disappear over a period of nine months if there's no reinforcement. I don't know anybody that should be happy with 15 to 20 percent of the behavior change. We know that if the training is good, and that's also a big "IF", but if the training is good, then we know that if you don't reinforce with really good training over that nine months period, you can get at most about a 30 percent improvement in behavior. We also know that with improved skills, a professional salesperson gets better results, and that's really what it's all about. Here's the interesting statistic, if you will coach and if you will reinforce, and again, this doesn't cost you an additional nickel, if you will do that, then you can get the behavior change up to anywhere from 50 to 80 percent. If you can get that kind of behavior change on an almost permanent basis, then you can get major differences in your sales results, and really, again, isn't that what you really want? Tim Deuitch: 14:43 It absolutely is. Better use of skills, equal better results. So I'll shift to the merits of reinforcement. Obviously, number one is the results, but there are a few other merits. For one, sales teams know that you're serious about the skills. You didn't just send me to a training session, and we just checked the box, and so forth. It matters to you that they use what they've been trained. Another is the clarity of adhering to a common sales approach, a common sales language that training often provides. It creates clarity for everybody. It puts everybody on the same page and that has wonderful ramifications for people understanding their role. The other is that its real help. Again, here's that "real help" word, and when it's timely it improves morale and results. It matters. Very few people have ever felt good about leaving a training session behind and never touching it again, it creates alignment. Bob, anything you'd add to the merits beyond those? Bob Parks: 15:57 Well, yes. We have 34 years of experience in this. We are in 30 states, 37 countries and I can tell you very sincerely that if you're going to train your sales force, and you're not going to coach and reinforce, then save your money. Have a picnic, or have everybody to dinner, or do something else, because here's what happens. If you train them, and then you don't reinforce them, and you don't coach them, then what you have created is a cynical salesforce. And the next thing that happens is your turnover will go up. Think about it, if you're not ready to make a commitment to changing behavior and improving results, then do something else with your money. Tim Deuitch: 16:46 Let's move to the glorious positivity of it. You spoke before around the opportunities of reinforcement. You spoke before about the language of the unconscious incompetent. So doesn't reinforcement turn them into consciously competent? Bob Parks: 17:04 Absolutely. In fact, I would say the professional athletes that I know, they define a professional almost that way. They are consciously competent. It's not that they don't ever make a mistake. Tiger Woods just won another tournament this weekend and he didn't have a perfect game. The thing that makes him a professional is when he has a bad shot, unlike me, I have multiple bad shots, but when he has a bad shot, he corrects it. He doesn't have two, or three, or four bad shots in a row, and that's the definition of a conscious competent, they can self-correct. A professional knows what they are doing well enough at a conscious level that they can self-correct. Salespeople are on their own, by themselves a lot, and having a sales force that is professional, they're conscious competence is so important. If you want to see your results improve, then have your salespeople become conscious competents. Tim Deuitch: 18:11 Let's shift to tips created for the sales manager to implement these reinforcements practices as part of their culture. One is, make time for skills practice at the team meetings and sales meetings, we've said this before. When the team knows that you're going to practice the skills, they can tell you what they want to work on, what they need to work on. By the way, when you coach day to day, this is self-apparent to you, but if you're not coaching day to day and you know you've made time for this in sales meetings that allows you to work on what you need to. Another is, recognize when the desired skills are producing the desired results. It's the whole notion of best practices. Often, what we do in the sales world is tell great sales stories like it's this heroic moment that takes place, and we're very proud and so forth, but often, we forget to link the result back to, "How did we get there with these tremendous discovery skills?" "Did I adjust my style for this customer or this opportunity in a way that made it possible to succeed?" So talking through, "How did we succeed? ", not just telling good stories, is very important reinforcement. Some would argue the most important is gathering customer assessments of team member or salesperson skills and behaviors. Nothing reinforces better than understanding or having your own customers confirm what they value in you as a salesperson and why. Bob, any last advice you'd offer on this one? Bob Parks: 19:59 I think you've hit it really well. I think, first of all, the whole idea of making time is really important. Making sure that it's a priority. Also, making sure that you hold your people if you're a manager of managers, are you holding them accountable for doing reinforcement? Are you holding them accountable for coaching? I think lastly, give them the tools. What I mean by that is, if your sales force can't go into their salesforce automation tool, and push a button, and get answers to coaching questions, then you're behind the times and your competitors are doing that. So having the right tools and of course, then, we always say this, make sure you're measuring the behavior and the results. Not just the sales numbers, but are you getting the behaviors you want? Tim Deuitch: 20:56 Absolutely. Let's shift to our point three, and that's reducing barriers and the commitment to reducing barriers to the team's success. This area is obvious to sales teams, the sales individual, but it's not always clear to the sales manager, and it's our point of view that reducing barriers is the fundamental role of a sales manager or a sales leader for that matter. So, Bob, we know that some barriers feel immovable to a sales manager or sales leader and other barriers can be reduced, or at least to some extent be addressed. What would you say are the most typical barriers to a sales team's success that that team's manager can do something? Bob Parks: 21:49 Well, I think one that jumps out as just incredible that it actually occurs, is that the whole idea of process in the sense that you need to make sure that your sales managers, your direct sales managers, have the opportunity to reinforce and coach. By that I mean you need to release or remove some of the administrative burden that they have. We have a very large client that if you ask their direct sales managers, their first line sales managers, they'll tell you they spend 65 percent of their time on corporate administrative duties, and that's ridiculous. We've run into prospects who are very proud of the fact that they've removed all of their administrative help for their sales managers. They've taken all the administrators out of the district offices and they've saved some money. It's absurd because they haven't saved any money. They've just taken a lower level skill and required a higher level person to do it. I think for understanding process, and we've already talked about skills, making sure that they have enough skills is the second way. I think making sure they're motivated, and the way you motivate them as a leader is making sure that the roles are clear, and the expectations that you have for them are clear, and of course, with everything, I would add accountability. Tim Deuitch: 23:24 Yes, definitely. Let's shift to merits of reducing the barriers. 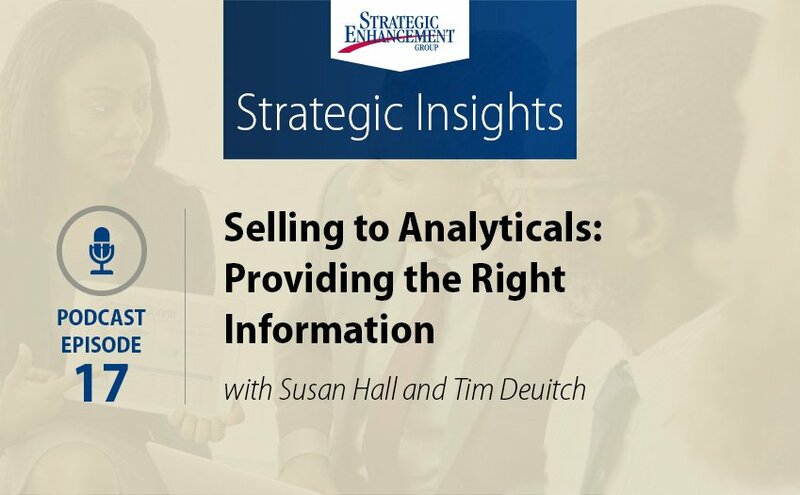 Sales team's value when they're heard and you take the steps to help them succeed. Your behaviors, now we move from the sales teams behaviors to the manager's behaviors. Your behaviors and the priority you give the barriers will show them, your words will not. Simply talking about a barrier in helping them quote, "overcome a barrier", is not enough by itself. You've got to go say, "Well, all right, which barriers am I going to reduce on your behalf?" Another merit is just flat out productivity. You'll get more done and likely have better results by reducing barriers, just pragmatically. There's that point again, the third one is, it's real help. Especially in a timely way, it can improve morale and results when your team knows that you're going to bat for you. So Bob, let's switch to opportunities gained by reducing barriers. What would you say, from a team perspective, in your experience when a manager reduces barriers, what is the result? Bob Parks: 24:39 I think there are two major results and these are easy to see. First of all, you're really good salespeople, you're high potential salespeople now see an opportunity with your company. They now see they're valued. They now see that you're willing to spend time and money on them, and they stay. Your turnover is always a problem because you typically lose your best people. So, that's one way to turn that around. Then the second thing, which I think is what we're all looking to achieve, and that is sales results. If you will do this reinforcement, make sure they've been trained in the right skills, and you do the reinforcement, and you get the right behaviors, you get these people behaving like professional salespeople. Your results will be there. Tim Deuitch: 25:30 Absolutely. So, a few tips to close out this section. One is, first identify the barriers, that if you did drop them, what would have the greatest impact on productivity, and I hope it doesn't go without saying, you want to ask the team for their view. Imagine what it's like when you say, "Hey, look, I'm planning for next year. What barriers, if I reduce them, would allow you all to be more productive? ", ask them and you'll have a list, and then, of course, prioritize the barriers. You prioritize them by those you can address and prioritize the list even with the teams help. Something often missed, is to set and communicate a timeline for addressing the barriers. Let the team in on the fact that you're on the case. Bob, any last tip that you'd offer? Bob Parks: 26:26 I think one simple way to manage this is for managers of sales managers to ask the simple question, and that is, "What activities and behaviors are directly contributing to my increasing sales?" Do more of those, and then eliminate those activities and behaviors that aren't directly increasing sales. It's not rocket science. Tim Deuitch: 26:55 It's not, it sounds so simple, but it won't happen unless we have a concerted focus on making it happen. So in summary, we know that sales managers and leaders have extremely challenging jobs, and we know that advanced planning gives them and their teams the best chance to be successful. 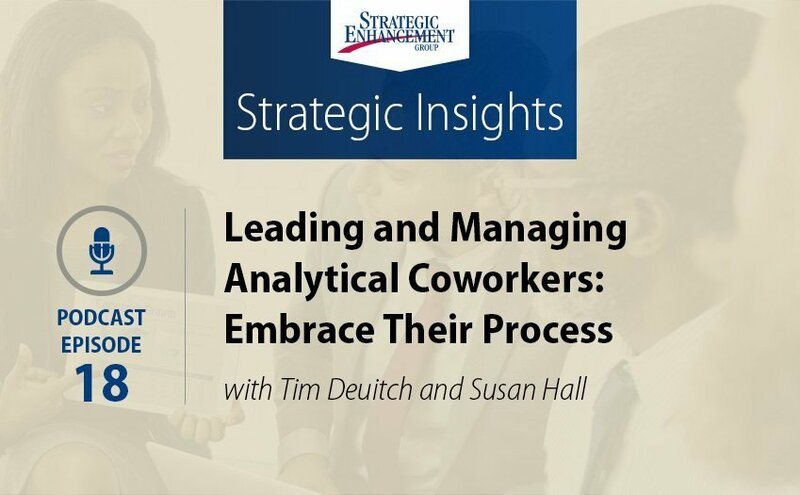 We hope that the areas we've discussed today, coaching, reinforcement, and barrier reduction are not seen as add-ons that take time from a manager. We hope that you view them as essential to success and worthy of thoughtful planning and implementation. We know that you'll be glad you took the time and your team will appreciate and value your commitment to their success. We wish you good luck and we offer this invitation. If you have additional questions or thoughts, please visit us at StrategicEnhancement.com.